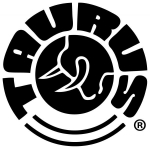 Taurus is a brazilian company which produces firearms since 1941. Its best known revolver is the Raging Bull. Taurus 970 Tracker 22LR Stainless Steel 6.5"
Taurus PT-809E 9mm Black Tennifer 4"
Taurus PT-92 AFD 9mm Blue 5"